As a family, we’ve had our fair share of travels. The memories we create while traveling are truly priceless. For the kids, traveling is learning without being in a classroom. For my husband and I, traveling is an experience. But for all of us, traveling makes us storytellers where we can replay our adventures over and over again. A huge part of those stories are the places we’ve stayed while traveling and how they impacted our trip overall. 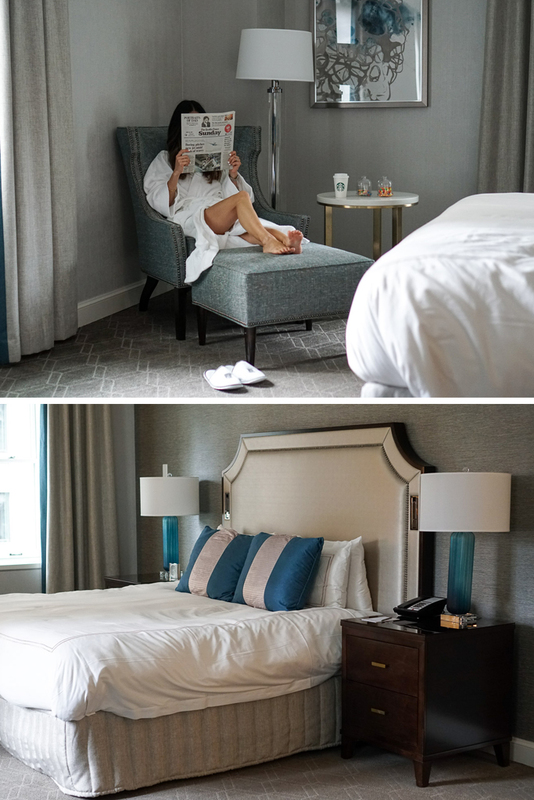 For our vacation to Seattle, we chose to stay at the iconic Fairmont Olympic Hotel. This was our first stay with the Fairmont brand of hotels and we selected this property based purely on its luxury reputation as well as its proximity to Seattle’s top attractions. The Fairmont Olympic Hotel was built in 1924, but was recently renovated in July 2016 with stunning modern decor and stylish upgrades. While the interior changed, the Fairmont Olympic Hotel still maintains the timeless splendor and luxury service it is so well known for. It is no surprise that this hotel is listed on the National Register of Historic Places as a landmark and is such a preeminent hotel in the Northeast. 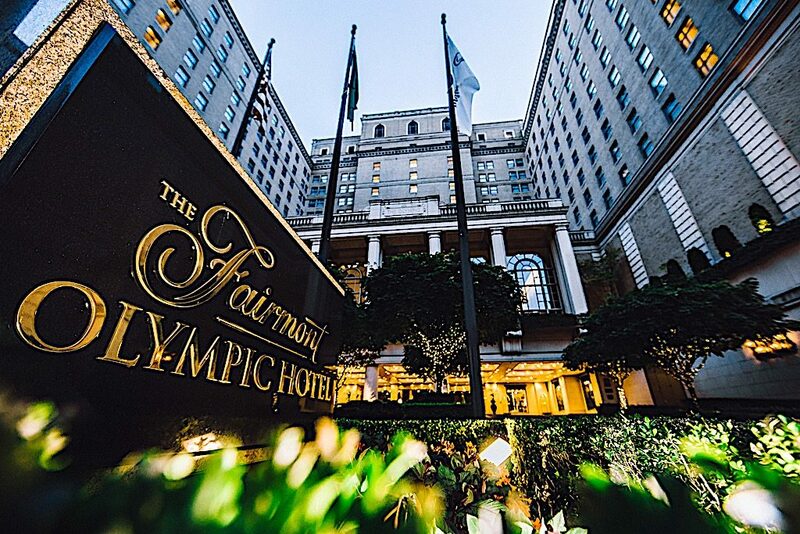 From the moment you approach the Fairmont Olympic Hotel, it just takes your breath away with the Italian Renaissance style of architecture, the grand arched windows, to the majestic columns. Three large flags salute you at the front of the beautiful, tree-lined roundabout entrance where we were greeted by Rick at the valet. Our check-in was so quick (the quickest I’ve ever experienced) and extremely helpful while traveling with kids. As soon as we gave our name to Rick, he handed us our room keys, directed us to the the elevators, and said he would have our bags up there shortly thereafter (we didn’t have to even go to the main lobby to check in!). From the regal entrance and the swift and friendly service, we could already tell that our experience here at the Fairmont Olympic Hotel would be unforgettable. Upon entering our one bedroom corner suite, I had no idea what to expect. I am not exaggerating when I say as soon as I opened the door, my jaw dropped to the floor. It was not what I expected at all! The double doors peer into a wide hallway with doors on each side. 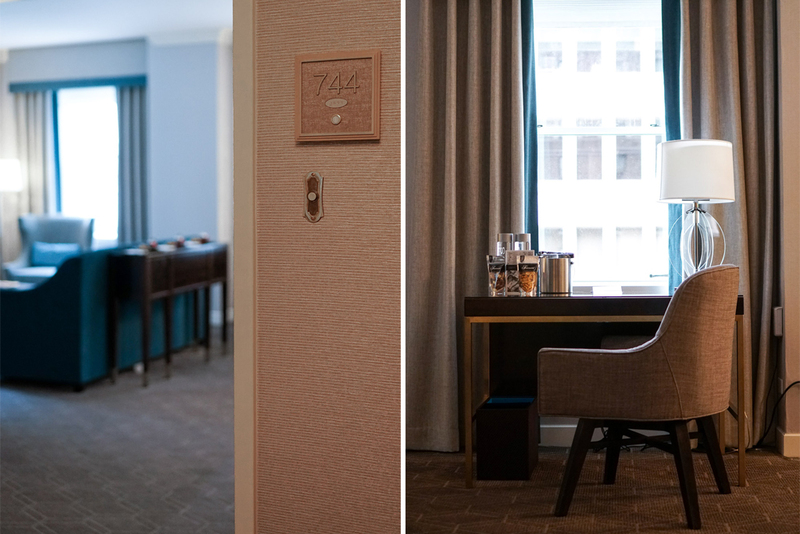 The right room (room #744) reveals a huge living area with a modern sofa (with pull-out sleeper), refined wing chairs, work desk, dining table that seats four guests, full marble bathroom, and small kitchen complete with a mini fridge, Keurig coffee machine and microwave – perfect for a family or small group. The best surprise that really impressed the kids was the Murphy bed which pulls out from the wall and still leaves plenty of room to run around and play! 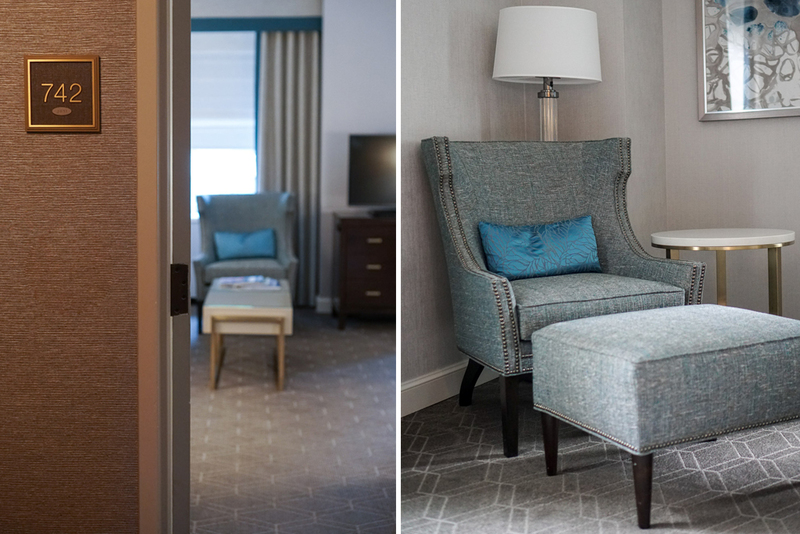 The room left of the hallway (room #742) unveils the beautifully designed master bedroom that is equally spacious with downtown views and a view of the waterfront. The bedroom has its own sitting area with a loveseat, wing chair, and a full chaise and work desk. There is a huge dressing area right before the marble bathroom which features a rainfall shower and Le Labo amenities (one of my favorite brands). 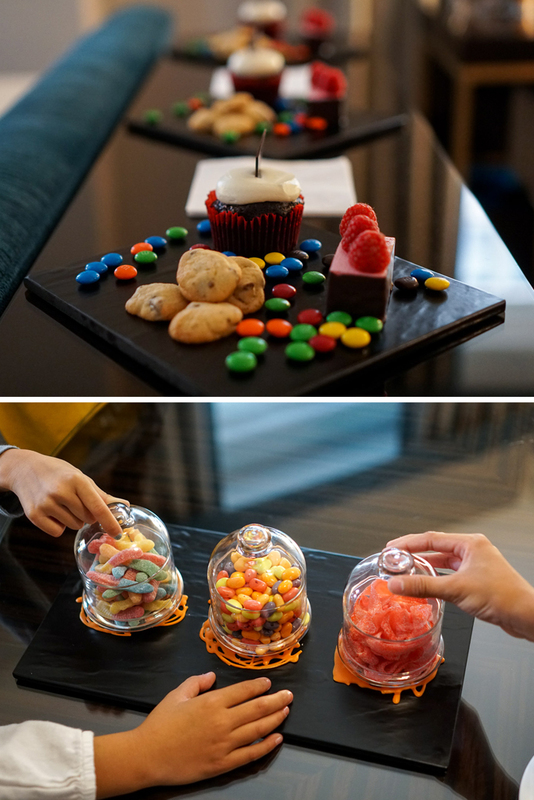 After the entire family rushed about checking out the generous rooms and where everyone would sleep (the Murphy bed was definitely fought over), we indulged in the most amazing welcome treats provided by the hotel. From cupcakes and candies for the children (one for each so that they didn’t have to fight), to the beautifully plated fruit salad and charcuterie display, we were in heaven and in awe at the level of detail and welcome we received. 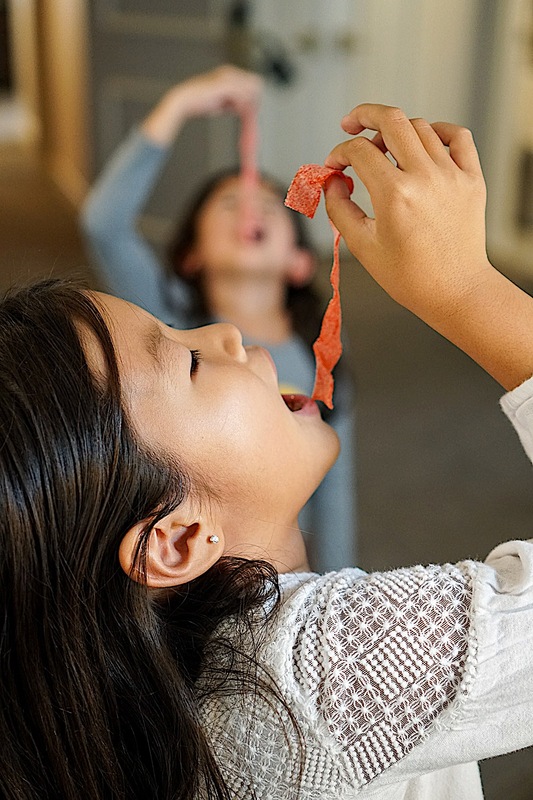 In addition to these kid-friendly offerings, the Fairmont Olympic Hotel also provides children’s robes to complimentary cookies and milk, coloring pages, and more! Anyone with kids knows that the second thing (after the room) that kids get super excited about when traveling is the hotel pool. What I love about the Fairmont Olympic Hotel heated pool is that it is indoors (yay, no need for sunscreen) and enclosed in the most beautiful solarium so that natural light fills the space. 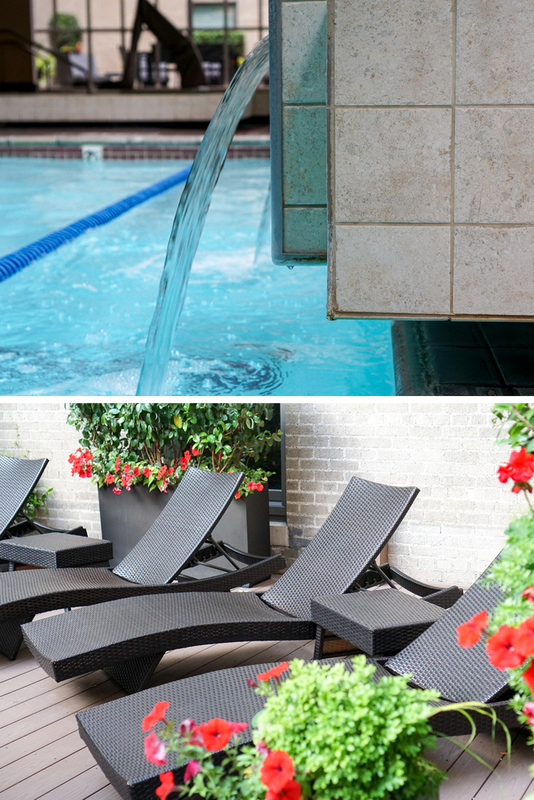 There is also a whirlpool as well as two outdoor spaces with lounge chairs if you want to enjoy some direct sunlight. Not to go unnoticed, there are also kick boards for the children to use at the pool which is an incredibly thoughtful feature. 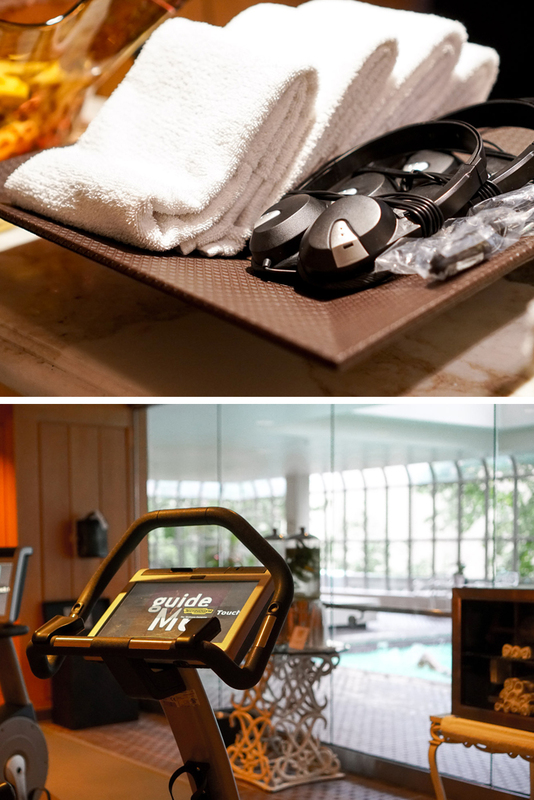 Adjacent to the pool is the Health Club which includes a variety of cardio machines and new state-of-the-art Kinesis Technogym weight equipment. I like that the cardio machines face the pool solarium and that the Health Club offers complimentary bottled water, fresh fruits, towels, and headphones for your workout. 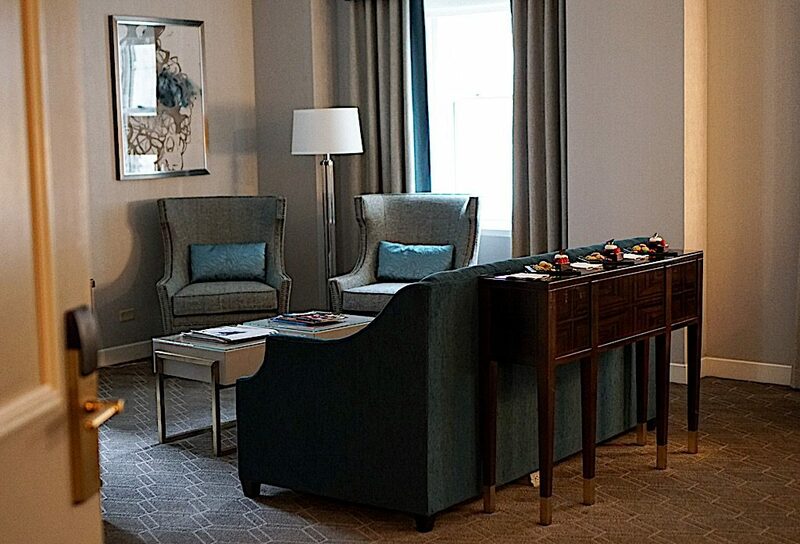 If you are apart of the Fairmont President’s Club, you can also request Reebok workout apparel, footwear, and a yoga mat with stretch band, to be delivered directly to your room as part of Fairmont Fit. The Fairmont Olympic Hotel is located to some of Seattle’s finest restaurants, however, if you choose to dine at the hotel, they have two outstanding restaurants that offer the freshest ingredients in the Pacific Northwest. We had the most incredible tea experience at The Georgian Restaurant which will be covered in detail in a separate blog post. 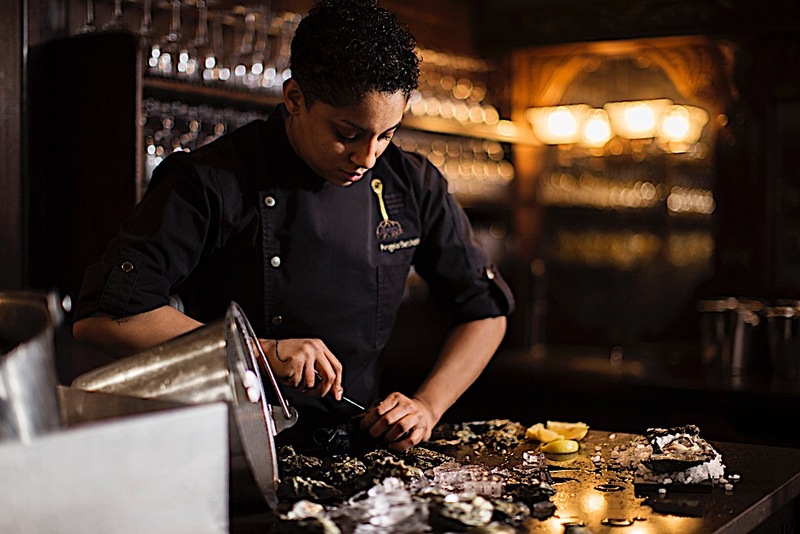 On one of the evenings, I had at date night with my son at Shuckers, a casual pub located inside the hotel with a fresh, daily selection of oysters, fish and seafood. 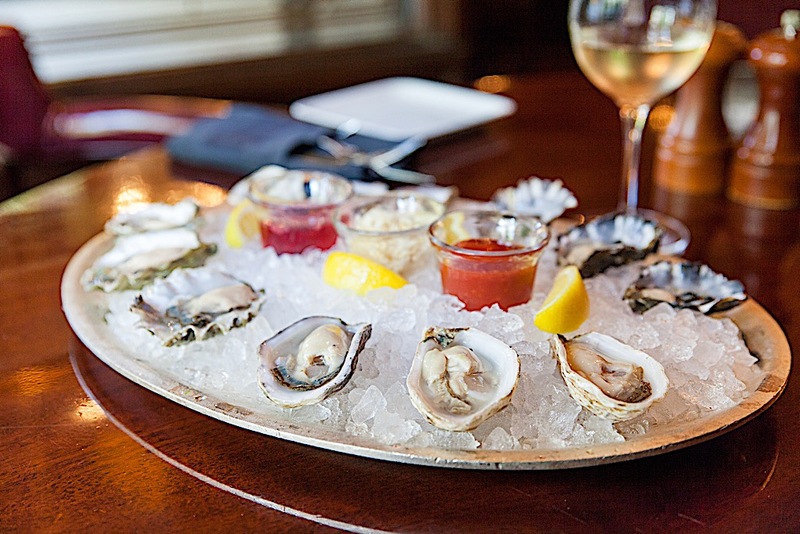 The most notable dishes I tried were a sampler of oysters which were so fantastic and the largest bowl of clam chowder that I have ever seen (plus a mug filled with oyster crackers). While I love seafood, my children don’t share the same taste so it was wonderful to have a kid-friendly menu that offered children’ favorites like mac and cheese which my son declared as “Delicious!” For some lighter bites, there is also the option of The Terrace Lounge which features a piano bar and refined refreshments. 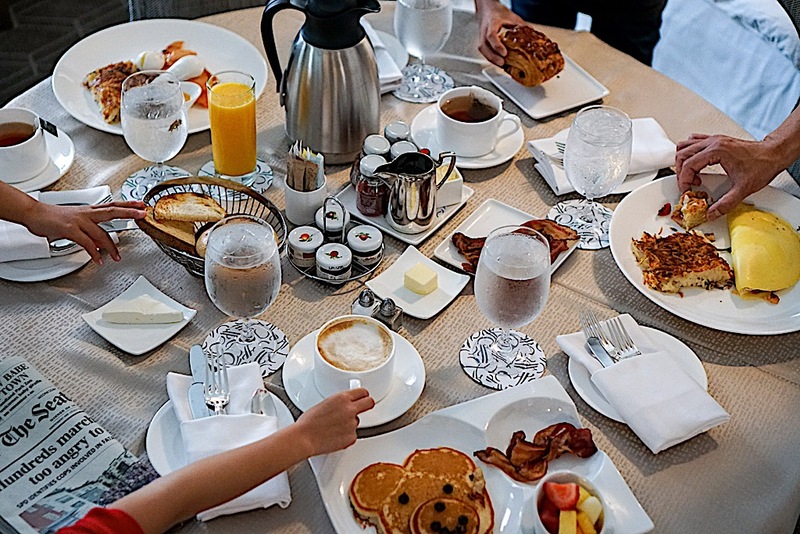 Because traveling with kids means delayed mornings trying to get everyone out the door, we took advantage of in-room dining and ordered breakfast for our last meal before heading back home. 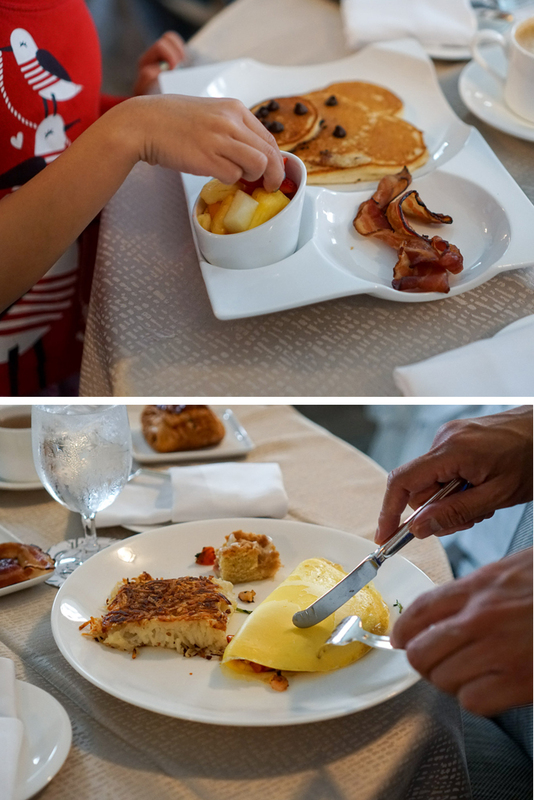 There were so many selections for breakfast from pastries to omelets and even adorable pancakes for the kids. 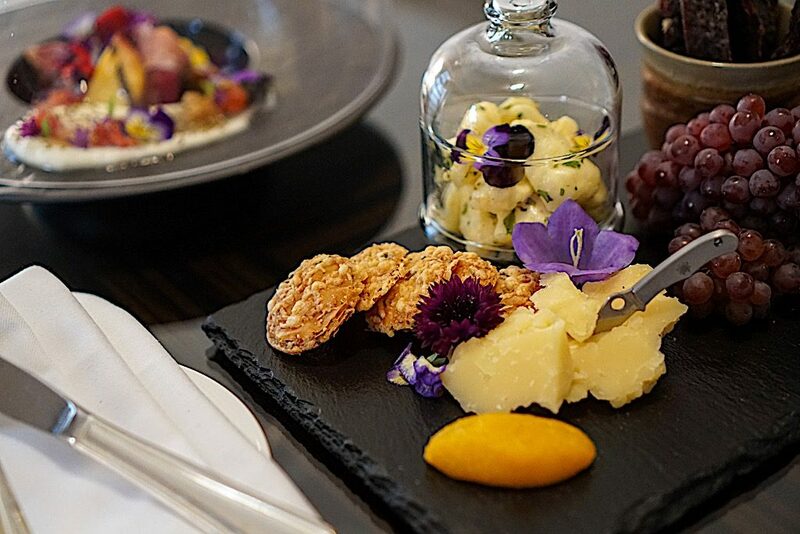 The room service was prompt and arrived sooner than the stated timeframe and everything was set up for us beautifully on the dining table en suite. It was so convenient to just order in and enjoy a meal in our pjs and robes without having to rush in the morning. 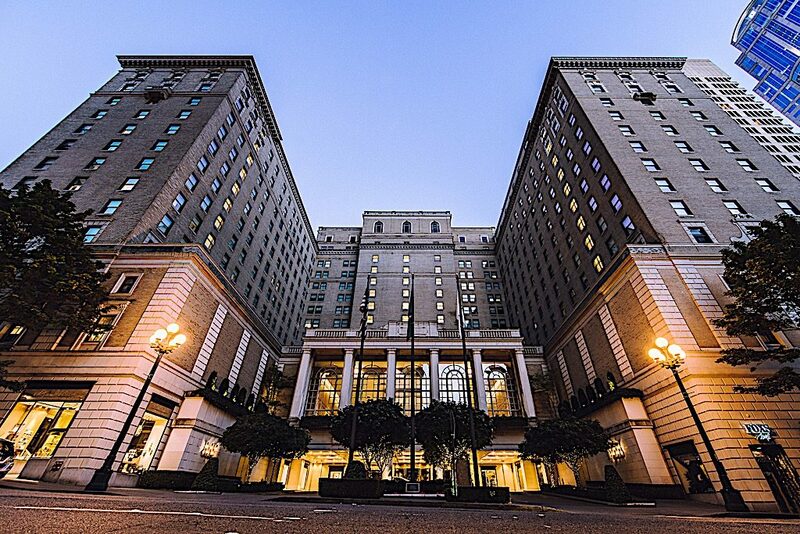 When it comes hotels, location is key and the Fairmont Olympic Hotel is literally located in the heart of downtown. With helpful directions from Rick at the valet and Dylan at the Concierge desk, we walked almost everywhere from the hotel to the waterfront pier, Seattle Aquarium, cruise ship terminal, famous Pike Place Market, Space Needle, Pacific Place retail center, Target and more! When the kids were too tired to walk, we took advantage of the house cars that are available for guests. The staff at the Fairmont Olympic Hotel were incredibly friendly and provided useful tips such as taking the Sky Train (located one block from the hotel) to the airport in less than 20 minutes to avoid rush hour traffic (which can take you up to an hour). Overall our first experience at a Fairmont property was remarkable. I was blown away by how well appointed the rooms are making them ideal for traveling with families. 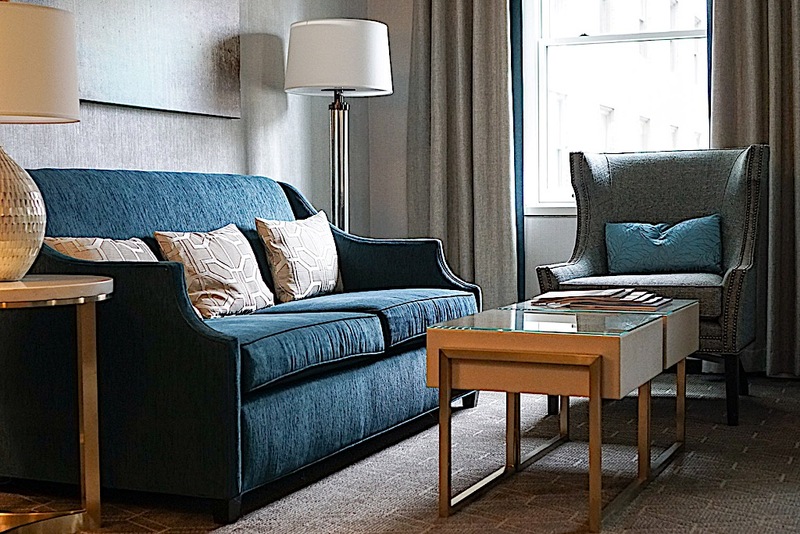 The Fairmont Olympic Hotel goes above and beyond to help to create memories and experiences for families including offers for family packages such as the Our Family Matters which provides an extra room for half the price. 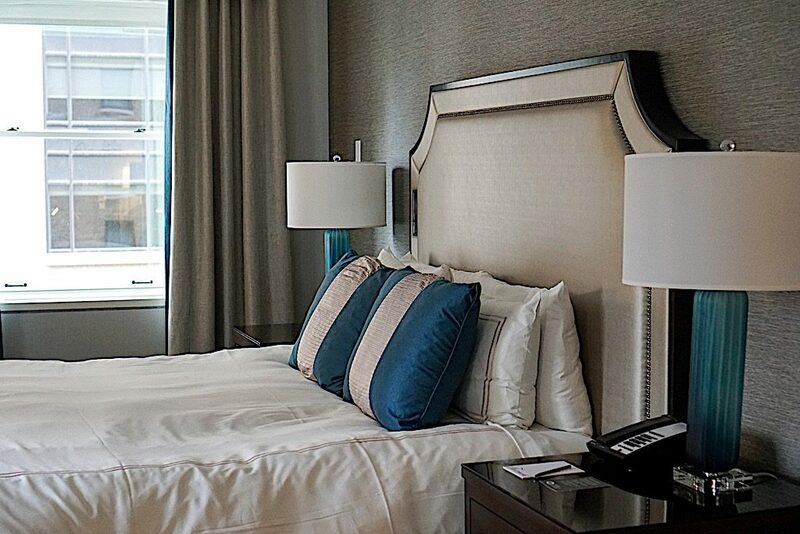 Additionally, if you want to extend your stay, Fairmont Moments allows you to save the longer you stay. With this trip we made another deposit into the memory banks of our children and have given them more stories to retell for years to come. The story about the Murphy bed which magically comes out of the wall. The story about Patrick the Concierge who found the fidget spinner my son bought in Vancouver that we thought was lost forever. The story about watching American Ninja Warrior and Price Is Right at the hotel and recreating the obstacles races in the spacious room. The story about the forgotten stuffed sea otter which was promptly shipped home to us from housekeeping. So many memories, so many stories, so many more moments to be made. I can honestly say that our recollection of Seattle will indeed include the moments we experienced at the Fairmont Olympic Hotel. Thank you Fairmont Olympic Hotel for sponsoring this post and creating this memorable experience for our family. Thanks Mariann! The Fairmont does an amazing job at creating these memories and experiences for the entire family. Thank you Keri. It truly is an incredible hotel and so beautiful! Wow such a gorgeous place to stay! Love that you don’t have to check in at the front desk. Such a great perk, especially if you’re tired after a long journey or have to get somewhere quickly. And those room treats are so fabulous! 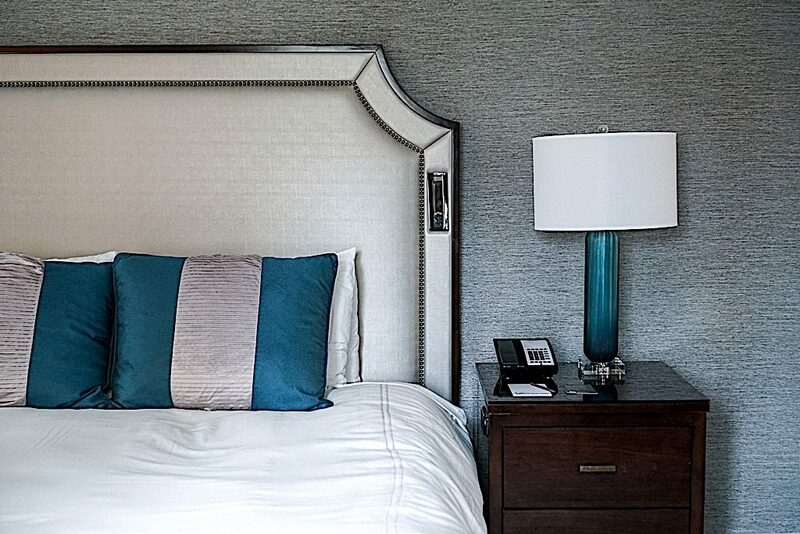 Love the blue and white color palette too – so calming. Hi Yasmin. Seriously, that check in was a shocker and I was so impressed! The decor is amazing here, so classic yet modern. Wow the photo of their lobby is absolutely breathtaking! I definitely know where I’ll be staying if I ever find myself in Seattle. I’m so in love with the sophisticated decor of your room. I also love that they have Le Labo amenities! Um, yes please!! Their lobby is stunning isn’t it? I love that it is still traditional with all the intricate moldings. The modern decor in the room really makes the room ultra chic. The Le Labo toiletries are my favorite too! You definitely need to stay here if you come to Seattle. Beautiful hotel, Amazing photos! The food looks delicious. Beyond words!! You and your kids are so cute. Beautiful family, indeed. What a beautiful hotel from top to bottom, I am heading tomSeattle in September – I would love to try the Fairmont Olympic Hotel. Your photos are amazing and looks like your children were treated exceptional. Great info. You will have the best time there Gracie! And yes, you have to check out the Fairmont Olympic especially if you are going with your family. Their rooms are extra large and the location is seriously the best to see all the attractions – all walking distance. I am sure you will be blown away by your experience there! This place is absolutely stunning! Plus they have Le Labo as shower gel! I am hooked!!! I bookmark this hotel for sure! Hi Julia! Isn’t it just incredible?! The hotel has that old, luxury feeling but it is updated and so friendly. 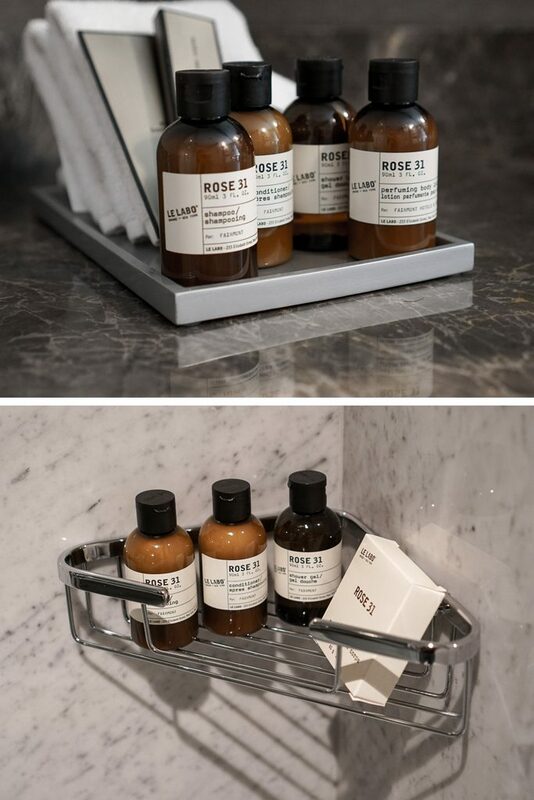 And yes, I squealed when I saw those Le Labo toiletries too! Uh that room is so elegant!! I love the brass tables. 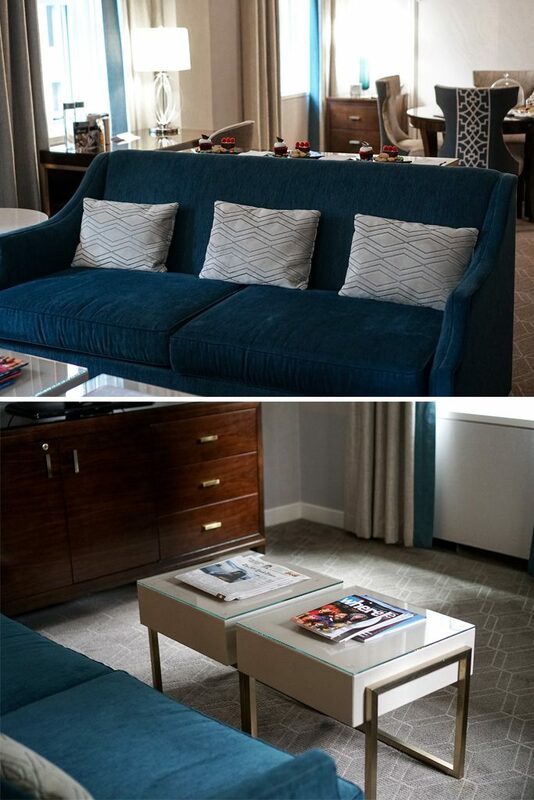 I could do with a coffee table like that to elevate our space. Looks like you all had a great time. That shot of the kids reading the magazines are so cute!! The decor here is fabulous isn’t it? Modern, but not too contemporary. I love the color palette too. Definitely wouldn’t mind living here lol. Oh i really want to visit this place I wish I will go to Seattle one day and stay there! Anyways. will put it on my bucket list! Anyways. will put it on my bucket list! And I really love their breakfast! The memories created by my parents to me as a child are an invaluable part of my life and memory bank. I am truly blessed to have had the opportunity to travel immensely from a very young age and I believe that made me into who I am and what I am. I am open to other cultures and never judge anyone by where they come from, their skin tone, their religion, their sexual orientation or what not. I think traveling broadens senses for us adults too (actually I’m sitting on a plane over the Atlantic Ocean while reading your post and typing this), but it’s even more important to create these memories and experiences for our kids. I think Patrick will be forever remembered and even the magical bed that came out of the wall, although the latter at an adult age won’t seem like such a big of a deal. 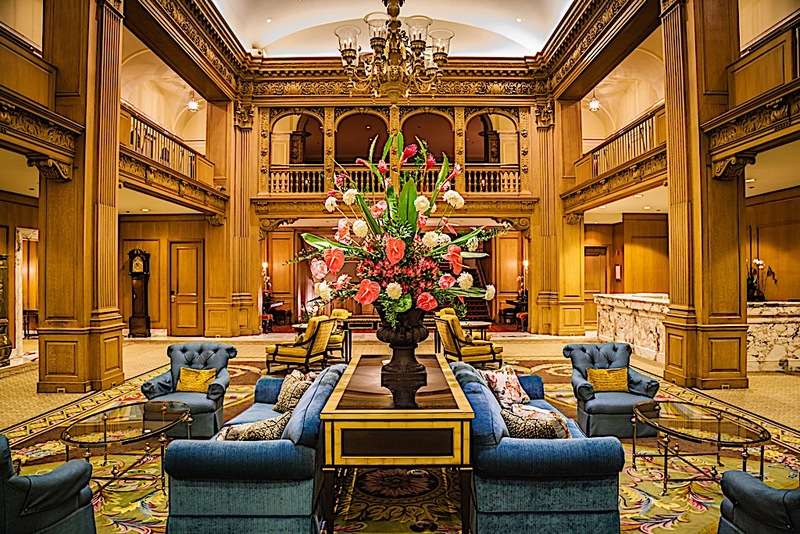 The Fairmont Olympic is an exquisite hotel and a stunning place to spend some family time at. Oh, by the way, was it Pride in Seattle during your stay, or do they always have a rainbow flag outside? Either way, commendable! This place looks amazing! Loved looking at the photos! Looks like you had a great stay! You always stay at the most gorg places and so amazing they are family friendly. Ugh the opulence of this hotel is incredible!! I love the decor and the blue plush velvet chairs and sofa. Everything looked incredible!! I am a sucker for marble bathrooms and this is so beautiful!!! 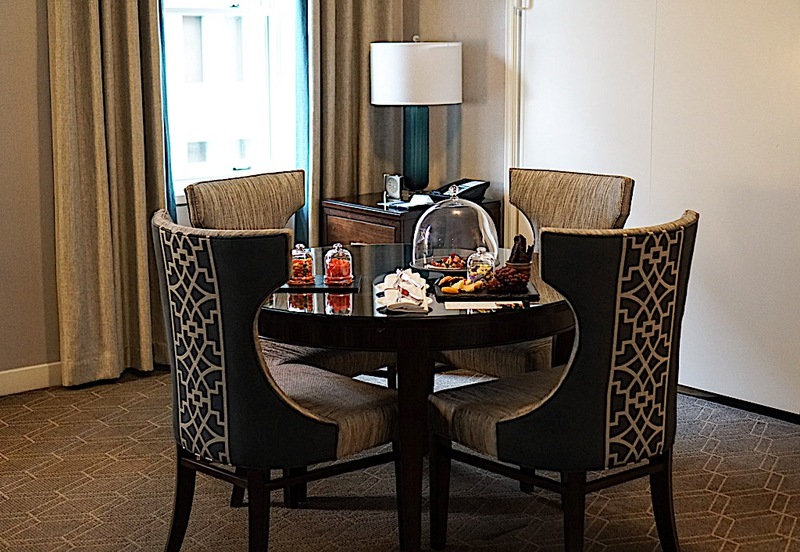 The hotel really spoiled the whole family with candies and cookies and pastries, not to mention the elaborate in-room dining!! I am seriously in awe…and envious. I love that the kiddos really enjoyed all the spoiling! The photo with you all in bed with the feet is so adorable!! Looks like a fantastic family time well spent. 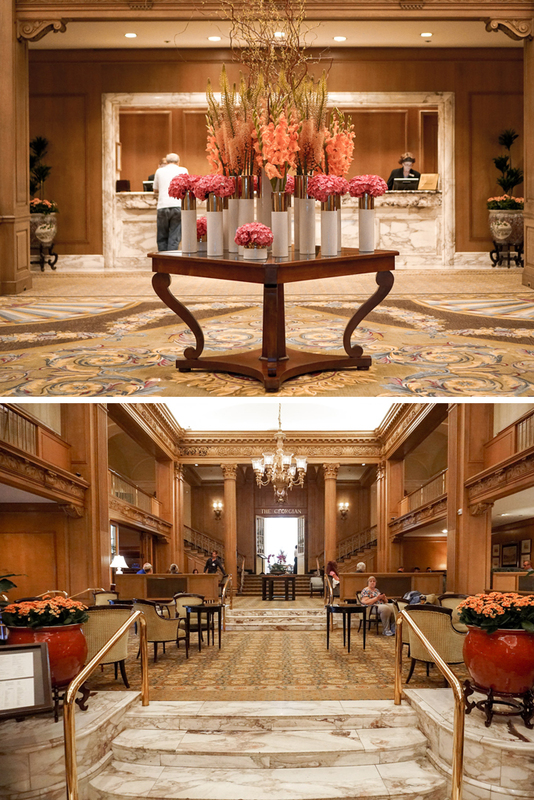 The Fairmont Olympic Hotel looks like an amazing place to stay especially with family! That room is seriously to die for and it’s so lovely that the room was stacked with Le Labo amenities and sweets for everyone! The heated pool must have been a huge highlight to relax in hehe 🙂 glad you added such a wonderful family memory here! Wow this is amazing! I love traveling especially with my family because the memories last forever! I had actually heard of the Fairmont Olympic before and everything is positive. The hotel you stayed in looks so gorgeous and luxurious. Seems like an awesome place to stay at. I’ve never been to Seattle but I’ve heard that I’ts such an awesome place to visit. I will absolutely take this hotel in consideration! Thanks for sharing the wonderful post. I really enjoyed reading all about your adventure. Also, love all the photos you too, and the food simply looks to die for! I love when hotels are central to everything in the city. It makes the vacation that much more enjoyable. Sure looks like the kids enjoyed themselves too! That’s always a bonus! Have a great week beauty. Wow! This hotel is so chic and classy! I love everything about it: the lobby is wonderful! And your room looks so cozy, like home away from home. I love travel and love to stay in the hotels, so glad that you and your family had a great experience in the hotel. That’s great you and your family all enjoyed the Fairmont Olympic! 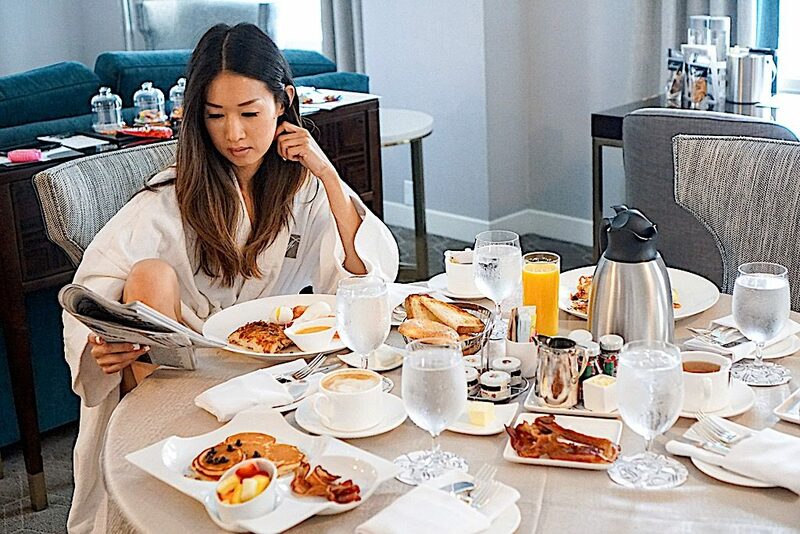 The furnishings are so nice, and the room service must be amazing (I mean, look at the breakfast!). 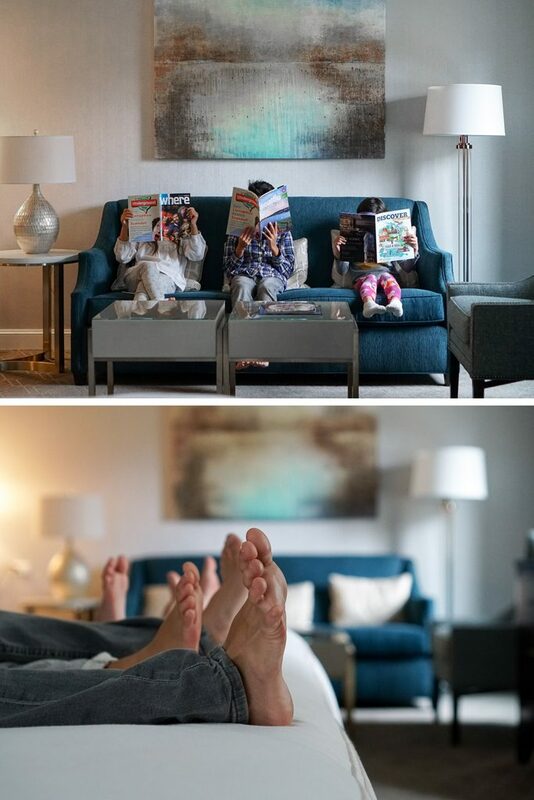 I especially love the photo of your kids reading the magazines, how cute is that !! This is such a truly beautiful account of your time in Seattle and the Fairmount. I feel as if I was right there seeing your children so delighted about the Murphy bed and enjoying the candy, cupcakes and special robes. 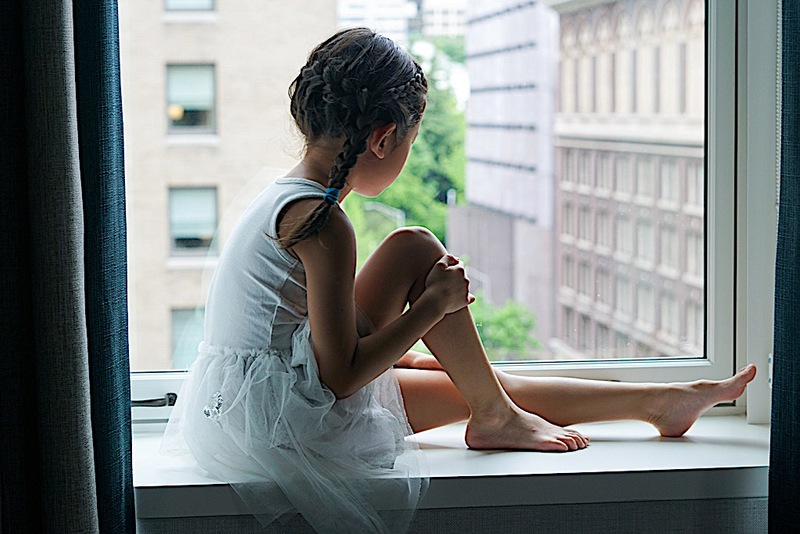 Yes, I definitely know what it’s like for children to be so exciting about the room and the hotel pool and it sounds like everything, from the staff to the food to the general atmosphere was perfect! I loved the fact that they had your favorite products and that you could request Reebok gear ! So cool that you had a special date night with your son and I’m so glad he loved the mac and cheese ! The entire trip, like you said is full of memories and delightful moments and I’m glad you shared them! The Fairmont Olympic Hotel looks so luxurious! I definitely have to stay here the next time I’m in Seattle! & the fact that it is in the heart of the city, I’m sold! I remember seeing this on your Instagram stories! I died over the candy welcome! YUM! The lobby is so regal ad reminds me of The Great Gatsby era! I love the marble details in the bathroom, and the fact that the pool is heated and indoor! Perfect for Seattle weather. What a stunning, luxurious hotel stay! 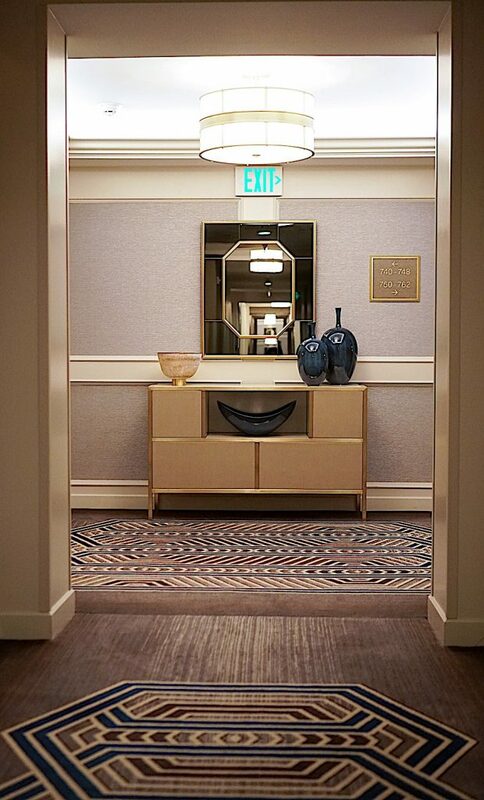 Love all of your travel recaps so much always – I’ve been wanting to go to Seattle lately and will definitely check this hotel out when I plan my trip. Fairmonts are always reliable and comfortable – thank you for sharing this and cannot wait to see more of your incredible travels!! For such an old hotel, I love that they’ve maintained the classiness of the era while incorporating modern, and homely touches. 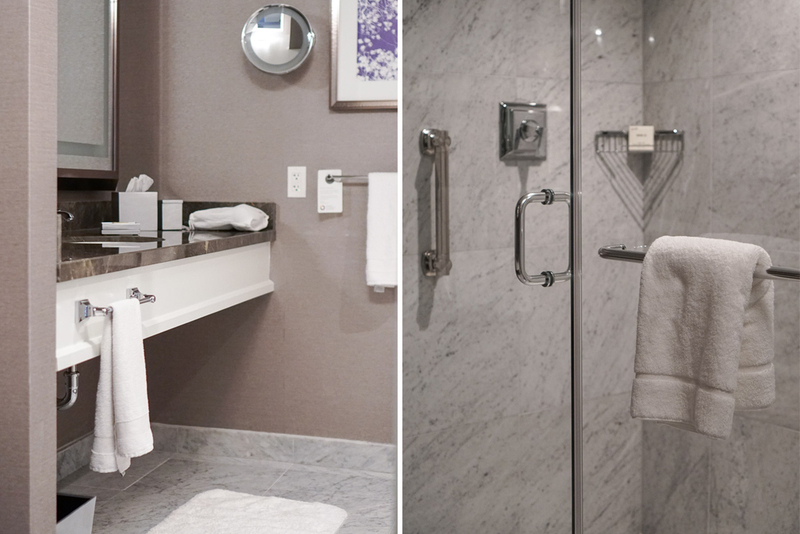 The suites look super relaxing, and their facilities packed with places to explore! Fairmont looks like a Grant palace itself!!! Especially the lobby and the bedrooms! I love their luxury decoration !! Girl you really know how to travel in style like a Queen B. All of your hotels have been amazing, and most of the time stunning!!! 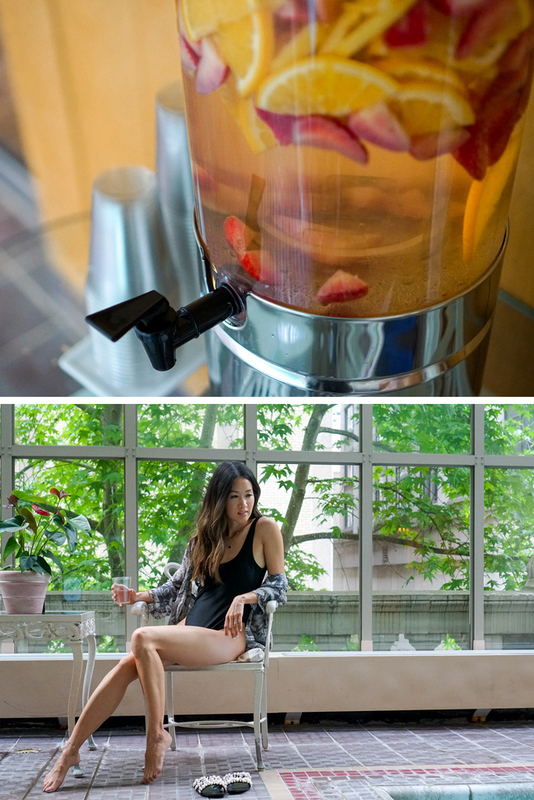 I love living through my luxury travel dreams through your blog posts!!! Another hotel that I will need book mark and save to my to visit list. 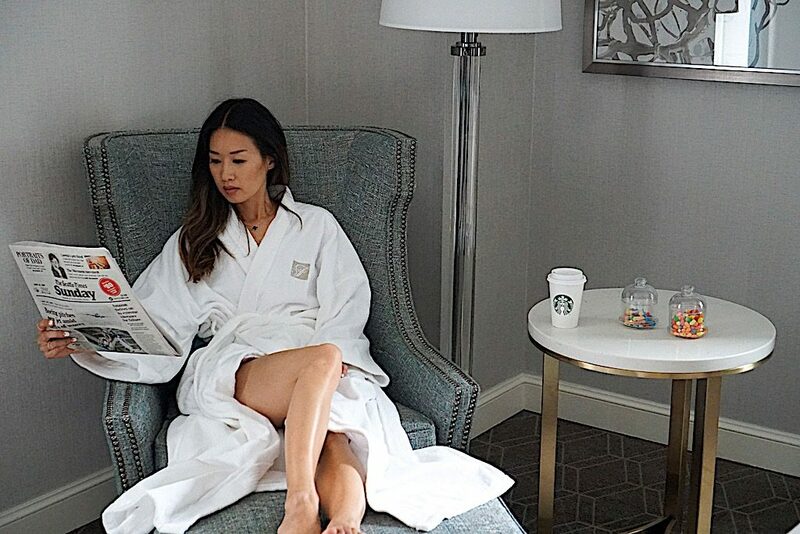 You stay at the most beautiful Instagram worthy hotels and the Fairmont Olympic hotel is no exception. I totally agree that travel is such a enriching experience especially for kids I remember my mum taking me overseas and it really opened up my eyes and I will never forget all my early travels.I have a thing for hotels built in the 20’s and no wonder this one is in the register as a national landmark truly exquisite. From full marble bathroom to the styling of the interiors every detail is on point. 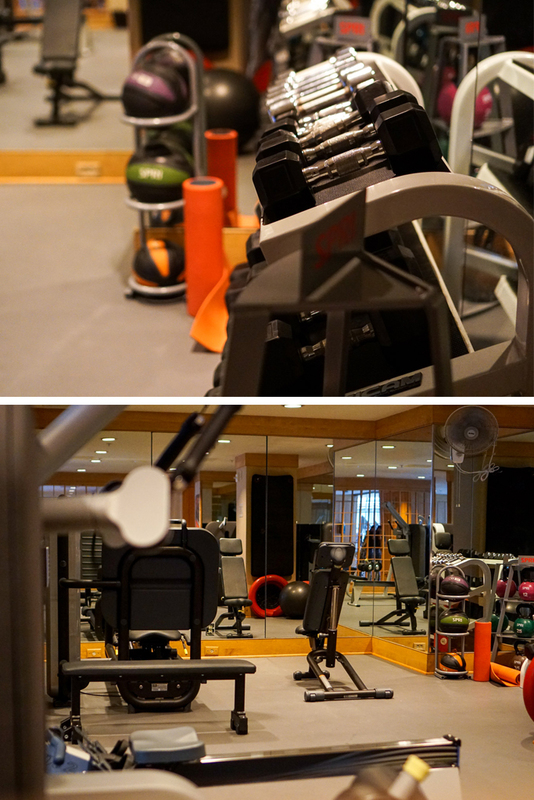 I saw the welcome desserts and treats on your Instagram stories and not only was I left salvitating ,I was truly amazed I think that was one of the best welcomes I’ve seen from a hotel.I love that the heath club had everything you need to stay fit on your travels as I find that important. Definitely on my list of hotels I must visit. This seriously looks amazing! I’ve been thinking about heading over to Seattle this year so this will definitely be on the list of places for me to check out on staying! I love the luxury decor and it’s exactly what I look for in a hotel. And you know it’s good when they have Le Labo as their hair care and body products! So glad you were able to add this to a memory for you and your family’s traveling adventures! So awesome. Omg girl your pictures are always shooted from the best perspective. 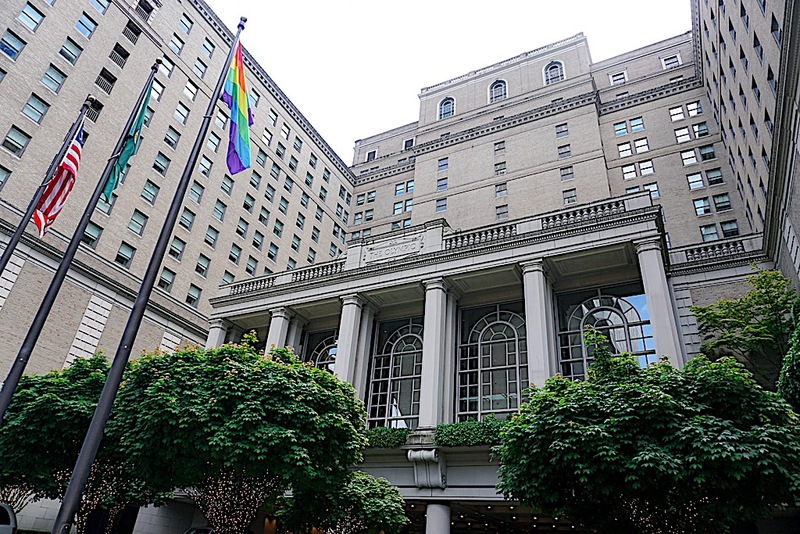 The Fairmont Olympic hotel (like the name) is really awesome and you can find all services. Funny to see when you share some details with your family or kids. TNe cupcakes and sweets looking very invitant for the childrens also like the breakfast for all. Nice how you cn use the wellness center and the headphones are very cool for the gym sessions. Looking you and you’re loved ones enjoyed very well. 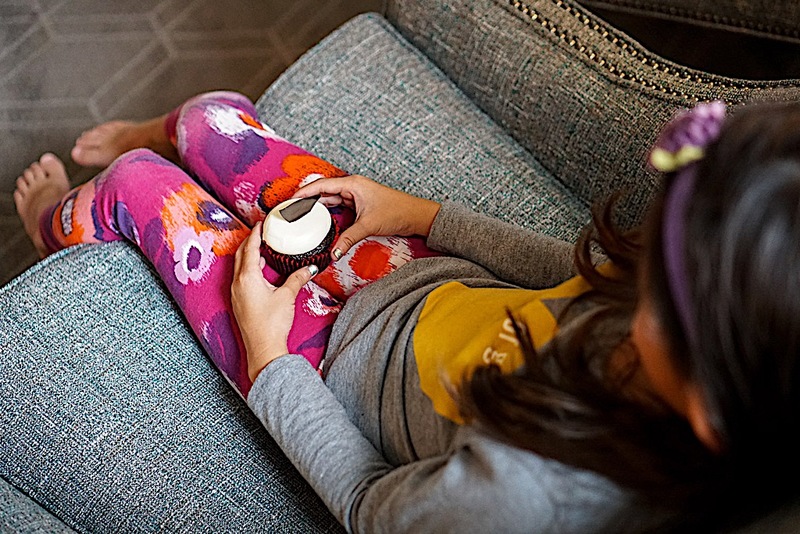 You made such a good choice to stay at The Fairmont, it looks like such a marvellous place to stay filled with thoughtful touches that charms both the adults and kids! Travelling with the family really does wonders to opening up the horizons for kids and learning while on the go. Nothing is as fufilling as seeing the happiness on their faces. That photo with all three kids reading is EVERYTHING!!!! I love that you travel with your kids. I used to do more when mine were smaller but I need to start again. This hotel looks amazing – for adults and kids alike! If I ever go to Seattle I’ll be sure to check out the Fairmont. My kids would be sold with just that candy LOL. And if my kids found a murphy bed they would probably try to fold themselves into the wall with it LOL. You’re such a super mom, your kids are so lucky to have you in their lives. This vacation looks so fun and relaxing. 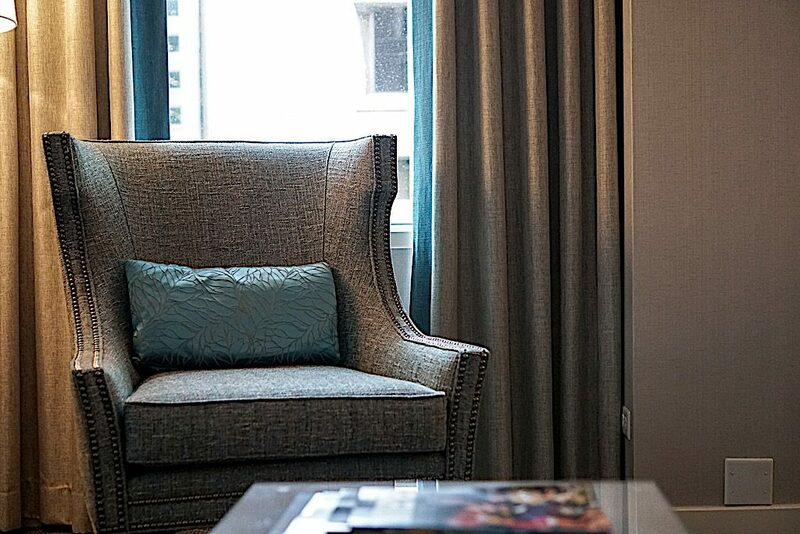 There’s nothing really quite like a stay at the Fairmont. Love these photos Christine and I wish you a great weekend with your fam! Wow, what an awesome hotel! I love the modern decor they did as well. I bet the kids had a blast! Candy, cookies, coloring books, and an indoor pool! I’m jealous! lol the piano bar sounds nice to check out too. I love a good lounge setting for cocktails and small bites when traveling. Your stay sounds amazing! The location is definitely ideal and I’m so glad you enjoyed Seattle! I’ve stayed at other Fairmonts before and their service is also outstanding! Also, how did I not know that you’re mom?? How do you do it all? Such a Gorgeous hotel- wow! Love what good care they took of you, and the attention to detail to the kids is so fantastic. What a great family vacation that was! Oh my gosh, this looks like a dream! I can’t believe how well they took care of you and your family, it’s amazing! They covered literally every base that they possibly could, so I’m not surprised you loved it so much! I love Fairmont hotels!!! They always make my stay and story telling so much memorable in the country I’m visiting. Love the fact that your family feels the same way about this. The hotels looks so elegant and looks like your kids also enjoyed. Thanks for sharing your story. Definitely need to add this hotel to my places to visit. You took the most amazing pictures of the hotel and the experience of it and know just how to capture it so that we can experience it alongside you. Beautiful and the Fairmont looks like an amazing hotel!